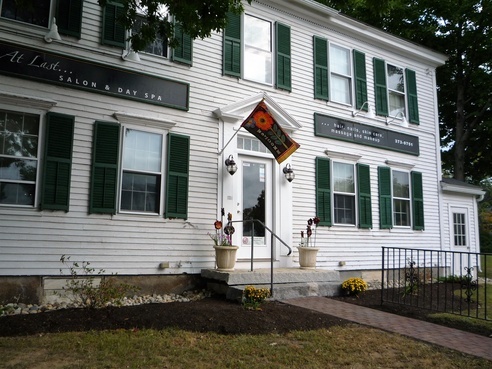 At Last... is an inviting salon and day spa in downtown Brunswick, located on historic Park Row, next to the Pilgrim House and near First Parish Church and Bowdoin College. We offer services for Hair, Natural Nails and Nail Art, Skin Care, Full Body Waxing, Massage, Intense Pulsed Light Therapy (IPL), Reflexology and Energy Work. We have an experienced staff on hand and can help you in whatever you might need. We welcome walk-ins, although highly recommend reserving an appointment in advance. When I was choosing a name for my business, I wanted it to have special meaning not only for me but also for you. "At Last" means something different for each of us. For me, the dream of owning my own business has finally come true. For you, it might mean relaxation at the end of a busy day; a quiet conversation with a friend or a long overdue, much-needed service. Maybe one visit you even try something you've never done before! That's why the words, "At Last" are followed by an ellipsis (three dots). You get to decide every time we get together. What could be better than that? We would love to have your feedback on how we are doing. We would like to continue giving you quality service; nevertheless if we need to improve anything in the salon/spa and services, we would appreciate your input. Please feel free to fill out our Customer Comment Form, or leave a review on Google, Yelp, or Facebook.. Like us on Facebook to keep up to date with last minute appointments, specials or just "what's going on".